This is a monthly class to support your meditation practice and meet the challenge of integrating meditation into a full, dynamic life. This class will include meditation instruction, Buddhist teachings on the text “Excellent Path to Enlightenment”, and remedies for navigating through challenges to practice. Isn’t Anger sometimes appropriate? What is the difference between attachment and non-attachment in Psychology and Buddhism? Is there self-esteem in a system that teaches no-self? What is Ego afterall? How do we find our voices in the context of the Eastern paradigms of the student-teacher relationship? These questions and more will be discussed with Dr. Harvey B. Aaronson, Lama, co-founder of Dawn Mountain, psychotherapist and author of Buddhist Practice on Western Ground: Reconciling Eastern Ideals and Western Psychology. This free public lecture focuses on Tibet’s Buddhist Yogis, their lifestyle, their philosophy, their history, and practice. 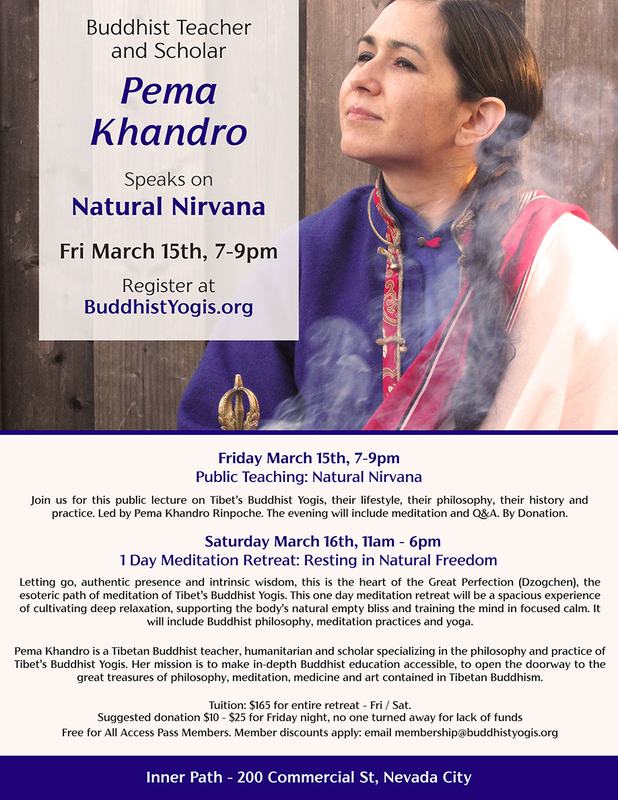 Led by Pema Khandro Rinpoche. This evening will include meditation and Q&A. 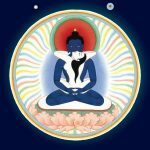 Letting go, authentic presence, and intrinsic wisdom, this is the heart of the Great Perfection (Dzogchen), the esoteric path of meditation of Tibet’s Buddhist Yogis. This one day meditation retreat will be a spacious experience of cultivating deep relaxation, supporting the body’s natural empty bliss, and training the mind in focused calm. 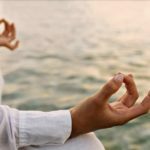 It will include Buddhist philosophy, meditation practices, and yoga. Resilience comes from training in the face of all life circumstances. Happiness, sorrow, good fortune and loss, whatever comes can be taken as an opportunity to delve deeper into one’s true purpose. 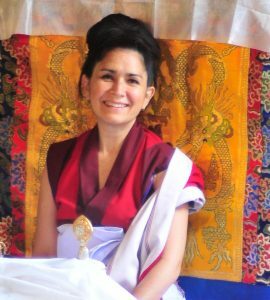 Join Pema Khandro Rinpoche for this class on the Tibetan Buddhist view of life. You will practice meditation and learn to chant the Tibetan song, Carrying Joy and Sorrow Onto the Path, an anthem for courage, stability and finding inner peace. 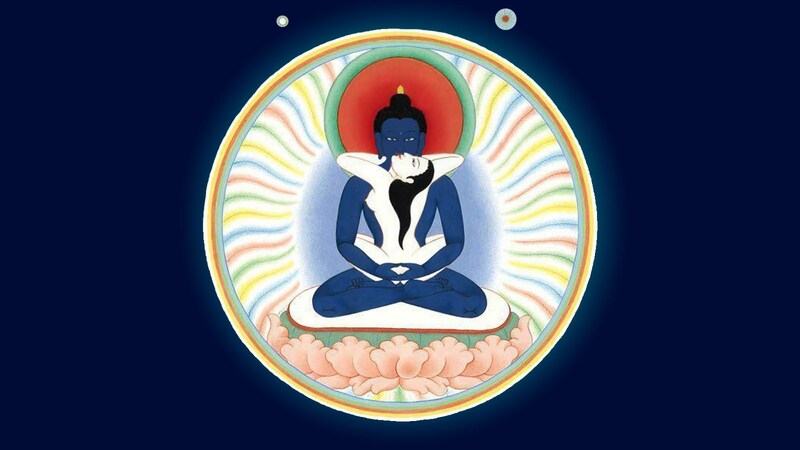 At times of high emotion, at the bedside of someone dying, during Solstices, Eclipses, and Earthquakes – Tibetan Buddhists recite the prayer, the Kunzang Monlam to guide all who hear it to liberating awareness. This one-day urban retreat explores this prayer and its extraordinary view of the mind and emotions from the perspective of The Great Perfection (Dzogchen). It explores how our awareness can become distorted by delusions, how to dispel the darkness and return to one’s intrinsic buddha nature. The rise of Dakini Mountain is here! Special Thanks to Gyaldak Rinpoche for obstacle-removing rituals, and thanks to Lobsang for sponsoring these practices. 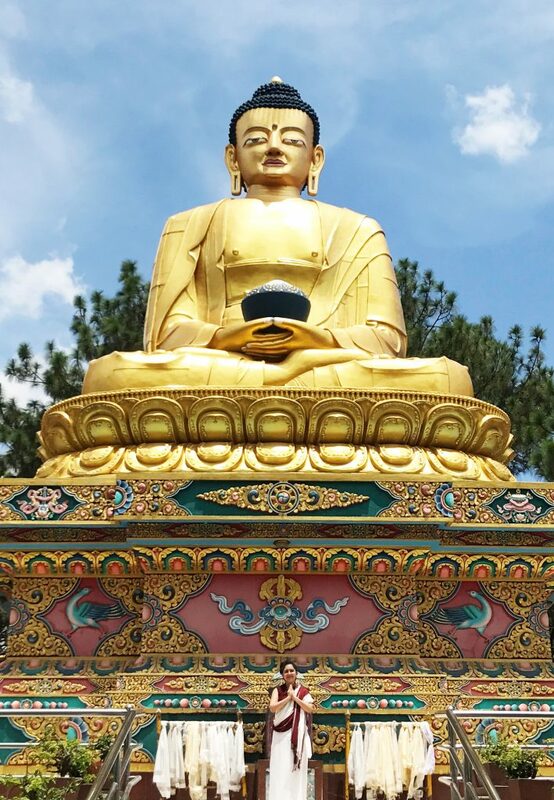 Special Thanks to all those who offered obstacle-removing practices for Dakini Mountain: Namkhai, Tenzin, Ali, Satya, Tashi, Ngawang, Nyima, Khalden, Kunzang, Ganga, Janak, Mikyo, Laura, Tsal’gyur, Fereshteh, Yene, Dedzin, Dawa, Aruna, and Kundini. Thanks to all who donated to our fundraiser: Richard, Laura, Tashi, Janak, Max, Mary Kay, Khalden, Kerryn, Sheila, Ngawang, Z, Diedra, Trusha, Wendy, Darius, Carol, Abraham, Dee, Malcolm, Satya, Yene, Steve, Elena, Conrad, Valerie, Harlem, Malika, Aruna, Zat, Ahlea, De’Dzin, Shivani, Christopher, Jesse, Ganga, Kabir, Penelope, Kaia, James, Andrew, R. David, Liz, Lou, Shirley, Serge, Ian, Kundini, Ali, Morgane, Cindy, Marianne, Tsal’gyur, Aimee, Malika, Daniel, Bernie, Dagme, Sarah, Richard, Jack, Laurie, Keith, Jeffrey, Kristine, Susan, Jerry, Owen, Rindzin, Anthony, Qin, Brenda & Virgil, Linda, Pualani, Gloria, Richard, Clare, Thokmey, Annie, Deshe, James, Rosanne, Paul, Evangeline, Tim, Mikyo, Karen, Lee, Lise, Preston, Fereshteh, Maria, Devin, Dylan, Denise, Kamali, Yeshe, Marie, Carlos, Dana, Marv, Namtak, John, Robert, Abra, Robin, Mark, Nette, Tazuko, Zoe, Willow, Kellie, Karen, Laura and Katya. Also, it would not have been possible without our friends who offered their support, extended kindness, offered their time, services, loans, advice:At the Berkeley Center – Mark, Khalden, Tsal’gyur, Darius, Monica Deka, Allison Pretto, Matthew Siegel, Dev. For Dakini Mountain – Mark, Ross Collins, Neil Kirpalani, Lobsang, Corrina Hansen, Patricia Krowel, Lars and Birken. Our Dakini Mountain Committee – Ngawang, Satya, Aruna, Zannette, Khalden. The Residents of the Berkeley Gompa who supported and helped the transition – Namtak, Sara, Nigel, Lorrie, Darius, and Tsal’gyur. Our 2018 Leadership Team who steadied our ship during the process – Aruna, Satya, Tsal’gyur, De’dzin, and Mikyo. Our new 2019 Leadership Team – Aruna, Satya, Tsal’gyur, Janak and Kundini. 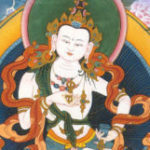 And the Vajra Sangha who are the heart of our community – Ali, Aruna, Dawa, De’dzin, Dri’med, Fa Jun, Ganga, Janak, Khalden, Kundini, Kunzang, Lobsang, Malika, Mikyo, Namgyal, Namkai, Namtak, Ngawang, Norbu, Osel, Thokmey, Pualani, Rigpa, Rindzin, Satya, Serge, Tashi, Trogyal, Trusha, Tsal’gyur, Yene, Zat. The greatest thanks goes to Aruna, one of our Directors of Ngakpa International and our CFO. For her, this was an effort made every day without reprieve for six months straight of high pressure, high stakes negotiations, decisions, legal research and consulting with all involved. I got used to speaking with her and making excruciating decisions on almost a daily basis, but she had many more hours, every day, of countless meetings, letters and legal processes with everyone else involved. I feel so proud that a woman of such extraordinary leadership, determination, and skill guided us through this process. Whatever she didn’t know how to do (like engineer solar panels! ), she learned, doing whatever was needed to make it happen. Thank you, Aruna! I have the most wonderful, joyous news. 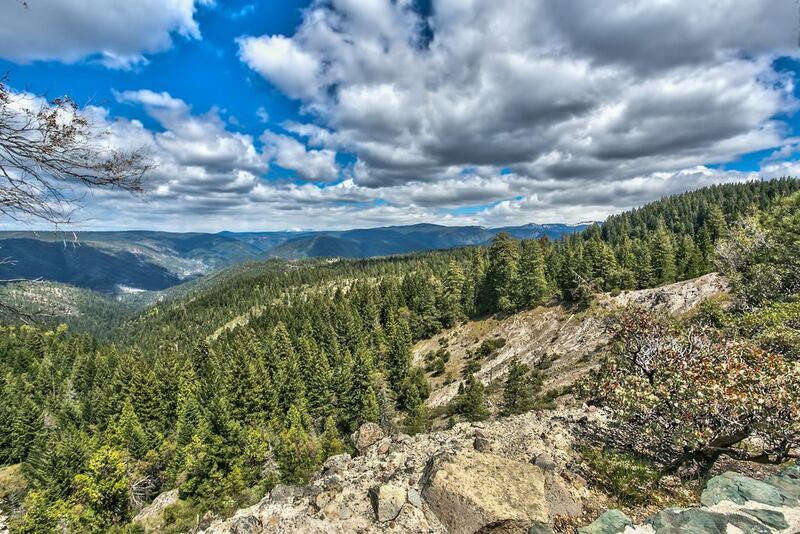 We have closed escrow on Dakini Mountain. We are opening our dreamed of retreat center!!! Congratulations to all! Thank you to everyone! My gratitude and joy is overflowing today. I am bowing, also laughing, celebrating and praying. Dakini Mountain is a dream that I had in 2003 after we first moved our sangha’s headquarters to Northern California. But at the time, this dream seemed unrealistic, there was no obvious way to make it happen. So I left it on the backburner for over a decade. Until 2017, at our annual Dzogchen retreat. Riding a wave of inspiration, I took a step forward in faith… and the whole community stepped up with me. Now, thanks to all of you, these dreams are coming to pass. It is the wished for era of the rise of Dakini Mountain. The journey to this moment has not been easy. We have worked so hard. We closed escrow after a six-month-long journey of negotiating with residents of the place that was our former headquarters (in Berkeley), finding new owners for that property, consulting constantly with lawyers, realtors, contractors, and solar power experts. There was constant and intensive negotiating and renegotiating our contract as things developed. Our community worked tirelessly to get to this point. But it has culminated in the huge leap forward to a new time – welcome to the era of the rise of Dakini Mountain. This is only possible through the support of our friends who donated to our fundraiser: Richard, Laura, Tashi, Janak, Max, Mary Kay, Khalden, Kerryn, Sheila, Ngawang, Z, Diedra, Trusha, Wendy, Darius, Carol, Abraham, Dee, Malcolm, Satya, Yene, Steve, Elena, Conrad, Valerie, Harlem, Malika, Aruna, Zat, Ahlea, De’Dzin, Shivani, Christopher, Jesse, Ganga, Kabir, Penelope, Kaia, James, Andrew, R. David, Liz, Lou, Shirley, Serge, Ian, Kundini, Ali, Morgane, Cindy, Marianne, Tsal’gyur, Aimee, Malika, Daniel, Bernie, Dagme, Sarah, Richard, Jack, Laurie, Keith, Jeffrey, Kristine, Susan, Jerry, Owen, Rindzin, Anthony, Qin, Brenda & Virgil, Linda, Pualani, Gloria, Richard, Clare, Thokmey, Annie, Deshe, James, Rosanne, Paul, Evangeline, Tim, Mikyo, Karen, Lee, Lise, Preston, Fereshteh, Maria, Devin, Dylan, Denise, Kamali, Yeshe, Marie, Carlos, Dana, Marv, Namtak, John, Robert, Abra, Robin, Mark, Nette, Tazuko, Zoe, Willow, Kellie, Karen, Laura and Katya. At Channing Mark, Khalden, Tsal’gyur, Darius, Monica Deka, Allison Pretto, Matthew Siegel, Dev. For Dakini Mountain Mark, Ross Collins, Neil Kirpalani, Lobsang, Corrina Hansen, Patricia Krowel, Lars and Birken. Our Dakini Mountain Committee Ngawang, Satya, Aruna, Zannette, Khalden. The Residents of the Berkeley Gompa who supported and helped the transition: Namtak, Sara, Nigel, Lorrie, Darius, and Tsal’gyur. Our 2018 Leadership Team who steadied our ship during the process: Aruna, Satya, Tsal’gyur, De’dzin, and Mikyo. Our new 2019 Leadership Team: Aruna, Satya, Tsal’gyur, Janak and Kundini. And the Vajra Sangha who are the heart of our community and my teaching activities: Ali, Aruna, Dawa, De’dzin, Dri’med, Fa Jun, Ganga, Janak, Khalden, Kundini, Kunzang, Lobsang, Malika, Mikyo, Namgyal, Namkai, Namtak, Ngawang, Norbu, Osel, Thokmey, Pualani, Rigpa, Rindzin, Satya, Serge, Tashi, Trogyal, Trusha, Tsal’gyur, Yene, Zat. I feel honored to be a part of such a dynamic community full of leaders, collaborators, and bodhichitta in action. 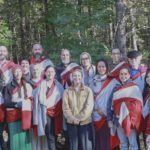 As I have often said we are a community of leaders, not followers, and this was our great strength through these last two years of effort to bring Dakini Mountain to life. Did you miss your chance to donate? We still need your help. You can donate right now here! The greatest thanks goes to Aruna, one of our Directors of Ngakpa International and our CFO. For her, this was an effort made every day without reprieve for six months straight of high pressure, high stakes negotiations, decisions, legal research and consulting with all involved. I got used to speaking with her and making excruciating decisions on almost a daily basis, but she had many more hours, every day, of countless meetings, letters and legal processes with everyone else involved. I feel so proud that a woman of such extraordinary leadership, determination, and skill guided us through this process. Whatever she didn’t know how to do (like engineer solar panels! ), she learned, doing whatever was needed to make it happen. Thank you Aruna! Dakini Mountain is the most beautiful place I have ever been, equal only to the other most beautiful place I have ever been in Eastern Tibet. The Dakini is the Sanskrit word for the feminine principle in Tibetan Buddhism. It refers to enlightened wisdom manifesting in the forms least expected. This is another reason why Dakini Mountain is so important. The last two years have seen a period of transformation for Buddhism as the #metoo movement has ushered in heightened awareness, reckoning, and change. It was a strange twist of fate to be reading one of these #metoo accounts the same day I heard about Dakini Mountain. My original vision had been that we would name this place after the Dakini, heralding a time of inclusion that we are now beginning to live in. I felt that Buddhism needed a center dedicated to gender equality. Buddhists should be world leaders in the movement promoting gender equality because we believe that underlying every person is a Buddha-nature and that genders are empty social constructs. My concern is also with ushering in an era beyond harmful sexist socialization which has harmed all people of all genders, whether it is toxic masculinity or binary frameworks that limit the full range of our humanity, we are in a new time. 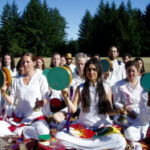 Dakini Mountain is a retreat center for this new time. The negotiation between philosophy, tradition, post-modernity, globalization and American culture is one that requires attention, effort, patience, and courage. Underlying all androcentrism and misogyny is ignorance – and as Buddhism so beautifully asserts – so the path of liberation from ignorance is education. We are all, so many of us, in a process of enormous learning, grappling with complexity and cross-cultural engagements, grappling with identity and language. May we have courage and resilience in the journey ahead. 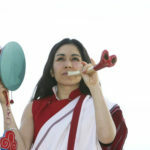 There is a wonderful line in the VajraYogini meditation which says, “Like a flag suddenly hoisted into the sky…” This is what Dakini Mountain will be, like a flag suddenly hoisted into the sky, Dakini Mountain arises as a declaration of the dignity, potential, and beauty of all beings. Therefore the flag has been hoisted. 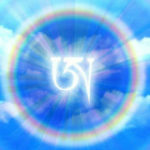 We are now moving forward into a new era – the rise of Dakini Mountain. 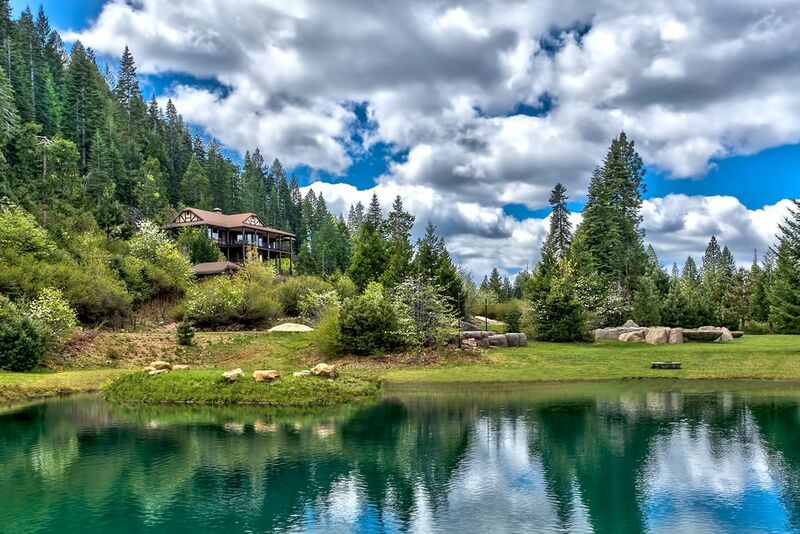 We now already have thirty-five acres, a large barn that will be converted to the meditation hall and a gorgeous lodge with the most expansive views over a large luxurious wrap around deck. We will build dorms and cabins and a clinic for the Yogic Medicine Institute. We will build buildings and build spiritual energy at the same time. And we will be kind to each other while we do it, (like Buddhists always are supposed to be), but equally importantly while we build it, we will dream revolutionary thoughts together… the celebration of people of all genders as equal, as beautiful, as welcome… We will cultivate the wish for all beings to be free from suffering. 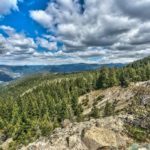 There is so much recreation to be had at Dakini Mountain so that even during these years of building, we will have much to enjoy! 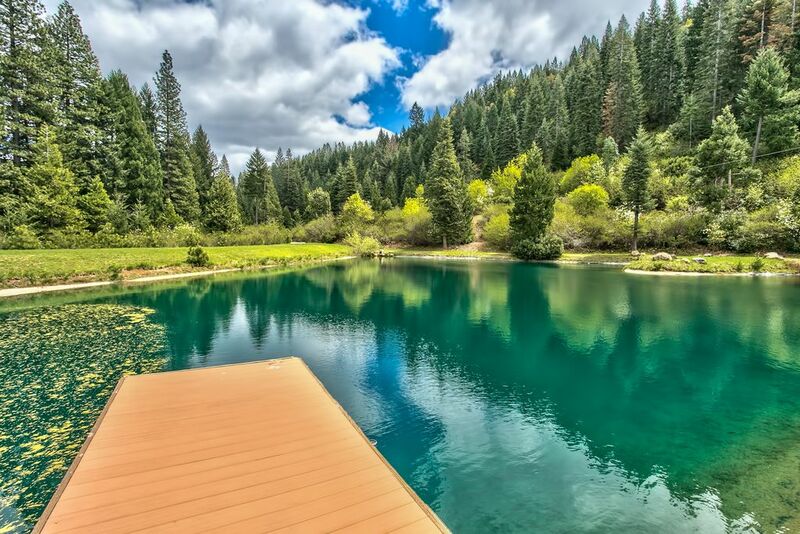 There is the ropes course, the zip line into the pond and the outdoor amphitheater and meadow. 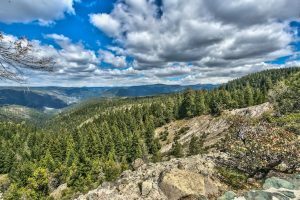 And of course, it joins the Tahoe National Forest so there will be plenty of time for a favorite delight of mine – hiking in nature! 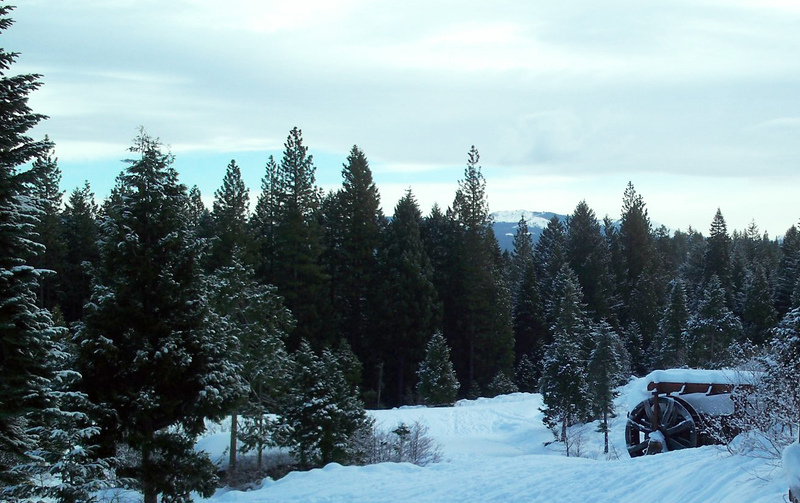 Those snowboarding retreats we used to have will now again return and by necessity! Dakini Mountain is at high altitude, we have opened this center on a site blanketed with snow, far as the eye can see. Sustainability has been and will continue to be a priority of our community. This is why Dakini Mountain is completely off the grid, solar power, propane, its own spring, and a giant well. It is a place to be immersed in nature while exploring the nature of mind! As for the details of our grand achievement – Our fundraising total for Phase 1 of acquiring Dakini Mountain was $681,865! This included $550k in our equity from our Berkeley property (thanks to the kind generosity of our co-investor!) as well as $132,700 from community donations to our GoFundMe campaign! Therefore we have just raised over half a million dollars toward the Dakini Mountain Vision! Our goal for Phase 1 Go Fund Me Campaign was $150,000, so we still have $17,300 to go to reach our phase 1 goal. 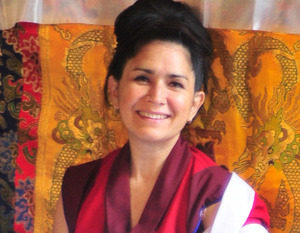 Please consider making a donation now at https://www.gofundme.com/dakini-mountain-fundraiser. For the next phases to come, $1.1 million is still needed to pay off the mortgage and purchase the land, and roughly another million is needed for developments. Read the details here: https://www.gofundme.com/dakini-mountain-fundraiser. We will start another fundraising round for the remaining amount in the spring, along with an additional amount that we will need to refinance the property for a more favorable loan as soon as possible. We will spend the subsequent four years of fundraising to pay off the mortgage. In the meantime, three sangha members have agreed to stay there and pay the mortgage until we finish the fundraising to own the property outright. Our most immediate concern now is getting all the new solar batteries up running and top priority is fixing the snow plow so that the road into the property can be driveable. 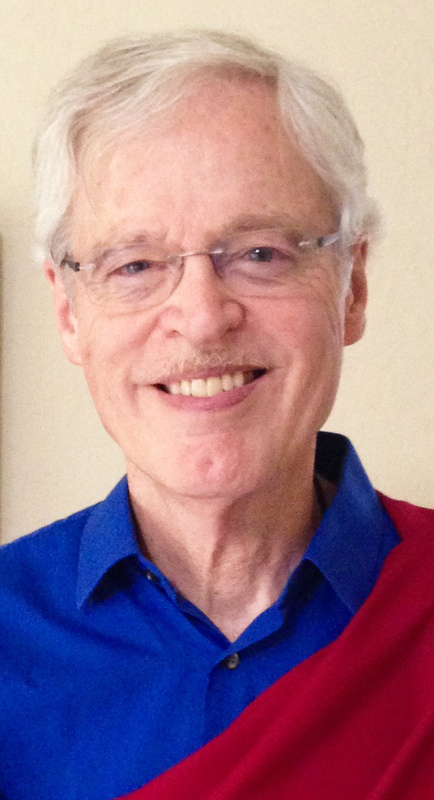 I plan to visit Dakini Mountain for a few days during the March Teaching Tour in California. 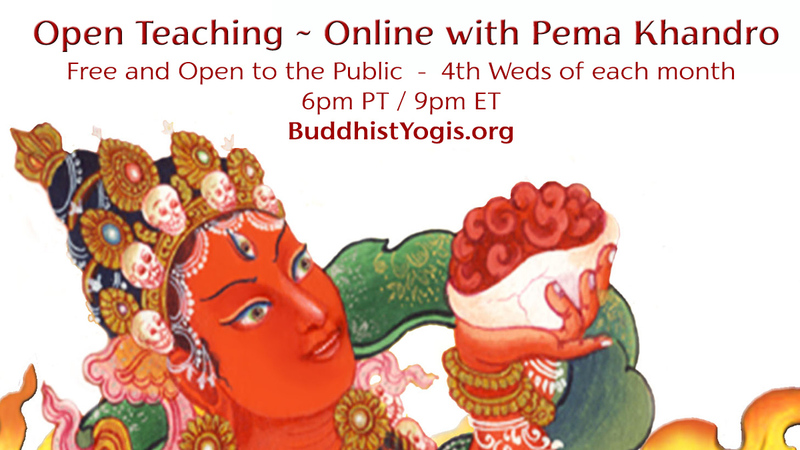 I hope to see you in March, or if not, please do join us on the next Online Open Teaching or our monthly members class – Dzogchen Day. We are currently planning to have our Grand Opening of Dakini Mountain June 7th-9th! Please do come and join us for a retreat weekend and Grand Opening Celebration. More information is forthcoming. 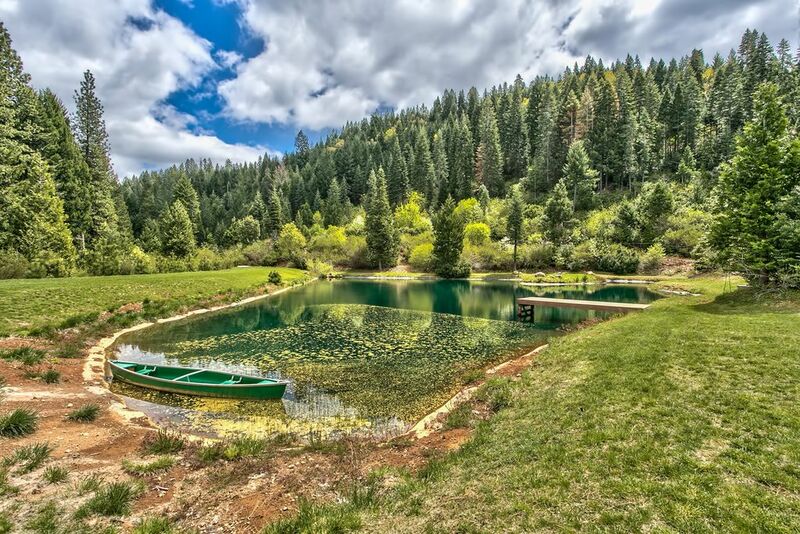 More wonderful news is that our summer retreats will be held at Dakini Mountain!! This includes our Annual Dzogchen retreat. And we are so excited to share the facility with our the many teachers and leaders who are members of the community as well as rent it out to the general public. 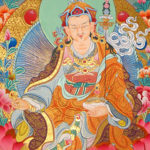 May Dakini Mountain be nourishment for many. Our first year will be more rustic style retreats until we complete our fundraising to finish the meditation hall and to build cabins and dorms, so our journey has really just begun. I will need your help to bring Dakini Mountain to full fruition. Still, as you will see, just as it is now, the land offers so much to enjoy. Just being there at high altitude is a spiritual experience and the breathtaking beauty and ideal Vastu make it even more so. I extend my gratitude and congratulations to everyone connected to this project and for all our friends supporting with prayers and positive energy, thank you! May we meet at Dakini Mountain! Help us get the word out about the upcoming March Tour! May you have joy, good fortune, and love in the new year! 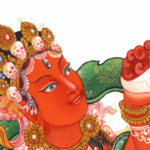 It is the year of the female earth pig – the perfect year for the rise of Dakini Mountain, our new retreat center where we will dedicate a shrine to Vajrayogini whose ‘spirit animal’ is a squealing sow, the powerful symbol of triumph over ignorance. It happened. Finally. Despite obstacles, despite delays, we closed escrow on what was formerly our center in Berkeley, California yesterday. We had outgrown the center years ago. I had given too many teachings there with people sitting outside because there wasn’t room in the meditation hall. Sometimes I would teach in the front lawn so we could fit. As a result, we had rented retreat centers for years so our whole group of retreatants could fit in the room and still have room for yoga. I well know that when things change, if we don’t change with them, suffering and obstacles ensue… Yet, even though we clearly needed a bigger facility, it took a long time to get to the decision to sell and expand to a new location. This is partly because so much heart had gone into that place. We had opened our center in the heart of Berkeley in 2005 and Gangteng Tulku Rinpoche’s teaching on the Laughter of the Dakinis was our first event. This was a residential center so we had lots of different residents over the years, I met some really special people there. One of my students with terminal cancer moved in there towards the end of her life. I remember meeting with her upstairs and talking while I listened to the residents chanting downstairs. I also met Gyaldak Rinpoche there for the first time and I have many memories of our sangha waiting on the sidewalk for his arrivals. My memories are also of that lovely back yard behind the gompa. I used to park my RV in the back when we had weekend programs there, squirrels would jump down from the trees above, one after another, sounding like boulders pelting the roof. Our group would chant Tibetan mantras in the morning and the next door neighbors, a frat house, would play music loud and party all night – somehow the arrangement worked perfectly, neither one of us complained about the noise of the other. There was that lovely time that Ngak’chang Rinpoche taught in the small living room where people gathered around to listen to readings from an Odd Boy, his life story. We all crammed in there, but despite the small room, it felt just right, made cozy and warm by Rinpoche’s charisma. One year for Losar, when we did the Vajrakilaya dances, we walked around the corner from the center to People’s Park and did the Vajra dances there – the park had been full of people meandering around. But then they stopped and watched the phurbas and flags waving. Time stood still. Except of course, when the one joker, (there is always one!) a random passerby tried to disturb it by running through in the middle of the performance. But the dancers keep their focus with such intensity, it only served to heighten the energy. I am grateful for this and so many wonderful memories there. The community made that place – from plumbing to painting, power washing to setting up for programs, making the gate to building the shrine, accounting to peacekeeping, there was so much service and heart that went into the Berkeley center. I feel tremendously proud at the cooperation and collaboration that sustained this center – generosity fueled that place, nourished it and brought it to life. Thank you everyone, for your service, your kindness, and your practice. I say goodbye to that era with enormous gratitude and tenderness. Now we have officially closed that Berkeley center and we turn our hearts towards our expansion. This was a crucial milestone towards expanding to our new location – 35 acres of forest, mountain, valley, meadow, and a pond… the long dreamed of Dakini Mountain. 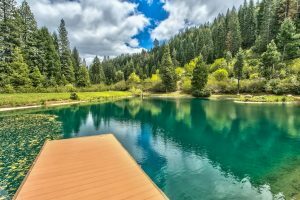 We are in the final push for fundraising to make our dream come true – a beautiful center in the Lake Tahoe National Forest, in Northern California. We have needed a bigger center for a long time, and now we will have it – at the most beautiful place I have ever been. Even though the era of that Berkeley Center has passed, our Berkeley Community will continue at the MahaSiddha Center 2.0, a home center located in Richmond, California, a smaller place, no longer a residential program, but it will offer regular meditations led by a great practice leader and longtime leader of that community, Tsalgyur Dorje along with the help of my other senior students. It is with sad-joy and much excitement that I say goodbye to that Berkeley Center. But I am not saying goodbye to our many friends and community. 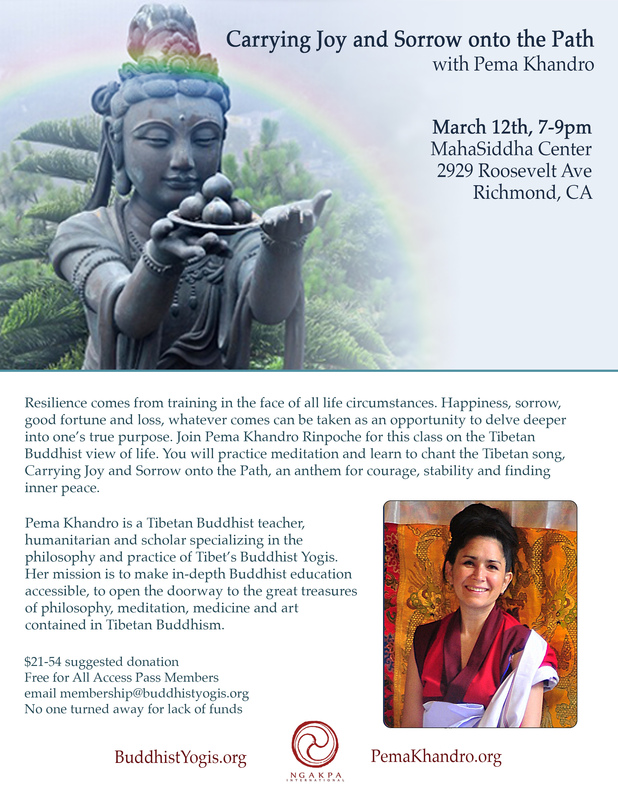 I will be coming back regularly, starting with my trip to Berkeley March 12th to teach at MahaSiddha Center 2.0. I will be stopping there on my way to Dakini Mountain. Our March schedule has programs in San Diego – March 10, Berkeley – March 12 and Nevada City – March 15-17. 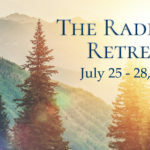 These programs will be an opportunity to go deep together in practice, prayer and study as we celebrate the beginning of a new era – the rise of Dakini Mountain. The Dream is within Reach!